Gary has had Schultz since 2005. He previously belonged to Robyne and Ken Glegg of Queensland. Robyne and Ken bought him from Libby Welsh, an EFA NCAS Coach, a successful competitor and trainer who successfully trained and competed Schultz. Schultz has three very good paces. His strongest assets are his medium and extended trots. Gary and Schultz are currently working on FEI “small tour” movements (Prix St George and Intermediate 1) and competing at Advance and Prix St George level. 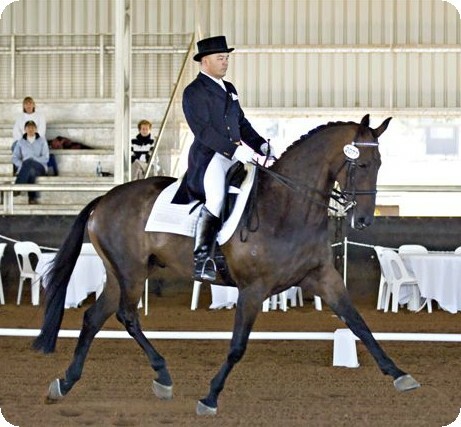 Gary’s greatest moment with Schultz was riding the Medium/Advance Freestyle class at Queensland CDI Dressage Championship in Toowoomba 2007. Gary explained that everything was perfect. Since Schultz was relaxed, Gary felt like he was riding through the movements in slow motion with lots of time to set each movement up and to execute it. needless to say, Gary and Schultz won the class. 2007 Reserve Advance Champion at South East Queensland Dressage Championship and 2007 Advance Champion at Far North Coast Dressage Championship. 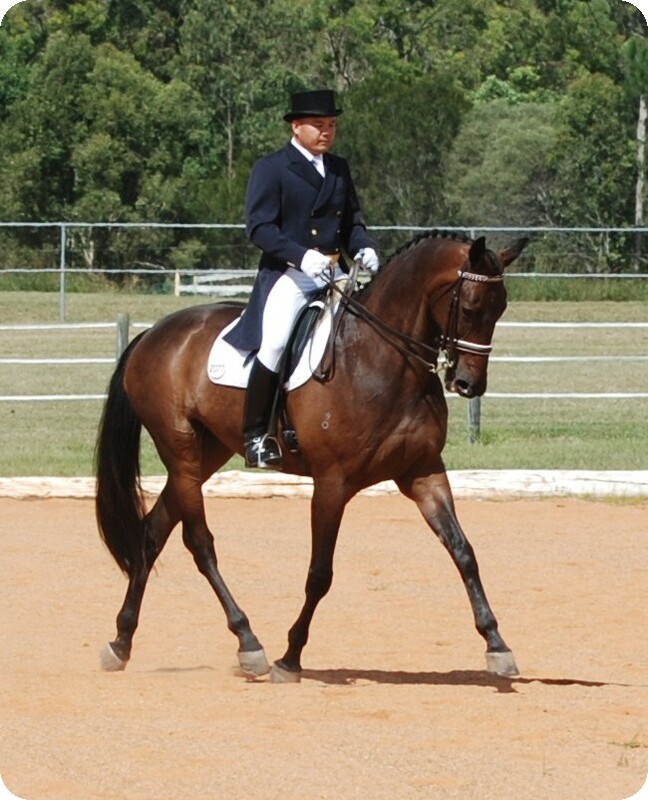 Schultz was a member of the 2007 Qld State “B” Dressage Squad. We asked Gary to compare Schultz to a person. He laughed and quickly replied "Bashful - one of the 7 dwarfs. Schultz is warm, loving, sensitive, shy and does well under a structured environment or paired up with someone else"